Though folks in other areas of the country might imagine all of California as constantly sunny with 70 degree temperatures every day, people in the Sacramento Valley know that this is not exactly the case. When it comes to air conditioning, Sacramento is a city where few homeowners are willing to deprive themselves. Of course, air conditioning is not always a necessity; but in places where summer comes calling months before it does in other areas of the country, a good A/C system is more than just a "luxury" item. Since Sacramento air conditioners are likely to get a workout for a significant portion of the year, when it comes time to replace or install one, you want to make sure that it will be efficient as well as effective. This won't only ensure a more comfortable place to come home to, but a system that doesn't drain your wallet while it cools your house. While California homeowners can find the same types of A/C units as anyone else in the country, with the intense heat common to Sacramento, air conditioning that might work just fine in other parts of the country simply don't cut it in the Central Valley. Homeowners in the northeast, for example, might be able to get away with no air conditioning at all; for many New Englanders, even a single window unit can be considered a considerable luxury. In Sacramento, air conditioners that cannot provide relief for a good portion of a home's living areas might be okay in a pinch, but most would prefer a home where moving from room to room doesn't require a change of clothes. Most newer Sacramento homes are designed with central air conditioning in mind. In older homes and fixer-uppers, adding central A/C can be an awkward and expensive task due to the massive amounts of ductwork needed to cool an entire house. For homes where adding ductwork is a tight squeeze, there is good reason to look into ductless and mini-duct air conditioning. Sacramento homeowners might find that these units provide adequate cooling during the hot summer months, but allow you to keep (or in the case of remodels, take back) space that would otherwise be filled to the brim with ductwork. Another alternative to standard central A/C is the heat pump. With the ability to both heat your home in the winter and cool it during the summer (using a single duct system), heat pumps can eliminate the need for a separate condenser and furnace system. Heat pumps are not a good alternative in areas where winters are extremely cold, but in Sacramento, where winters are relatively mild, they are very capable (not to mention efficient) all year long. With any device that uses electricity to function, there's good reason to look into how energy efficient it is when replacing or installing. Though an energy saving A/C unit might initially cost more, in the long run they will save you money on monthly bills; in a place like Sacramento, air conditioners that run efficiently may even pay for themselves over time! When it comes to the bottom line price of installing air conditioning, there is a fair amount of variation from one job to the next. This can be attributed in part to the cost of the unit, but it may also be due to the amount of alteration needed to install a particular system. We've seen Sacramento air conditioning prices range from $4,000 to $11,000, though most jobs will fall somewhere in the middle. Of course, nearly every Sacramento air conditioning company is going to have an ad in the phone book. The problem is, it can be extremely difficult to judge a company's merit from a yellow pages ad. This is where HomeAdvisor can help. Every company we represent nationwide must pass our rigorous ten-step screening process before we even consider matching them with a homeowner. Additionally, the folks that have used our contractors in the past are able to leave feedback on our site that you are free to look over. What does this mean for you? Every Sacramento air conditioning company we'll match you with meets higher standards than any phone book requires to place an ad. Plus, our policy of posting the comments of previous clients gives you a chance to hear real life accounts of how particular companies have performed for others, and gives every contractor we work with an extra incentive to make the homeowners they work with in the future happy. Comment: I recently had a stroke, and with the change coming, I would like an annual tune up asap! Thanks, Judy xxxxx. Comment: I am replacing my 7 year old residential split system with a heat pump system for climate reasons. The system that is being removed is quite efficient (16 SEER) and in good, well-maintained shape. You can see the specifics here... https://sacramento.craigslist.org/app/6859807993.html Coil is only one year old. If you are interested in buying this system, it will be removed on April 16th and ready for pick up in Sacramento near the intersection of Franklin Blvd and 11th Avenue. I am hoping it can go into a home to replace an inefficient system for someone who otherwise could not afford a newer system - and make a net climate improvement. This is so much better than going to the landfill. You can connect with me through Craig's list or with the above information. I will not be buying any more HVAC equipment or services this year. 3479 A Orange Grove Ave.
Sacramento HVAC & Air Conditioning Contractors are rated 4.77 out of 5 based on 1,827 reviews of 69 pros. 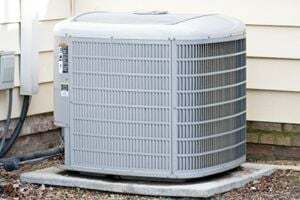 Not Looking for Air Conditioning Contractors in Sacramento, CA?